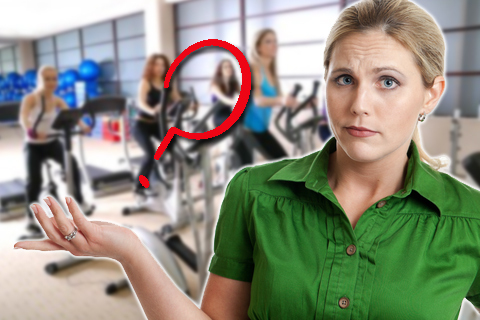 Now do not go running to the store loading up your shopping cart with candy bars! At the end of the day candy bars are not a healthy snack choice. 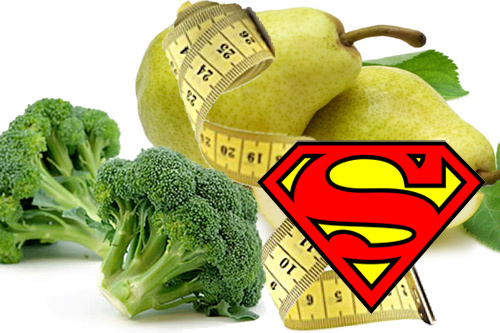 And even the healthiest ones will contain sugar, fat and other things that you would not want to eat too often. But if you find yourself with some real candy cravings then go for what I consider to be the lesser evil when it comes to picking a candy bar. 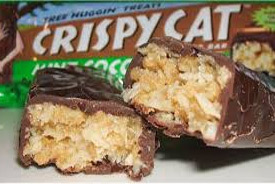 Again these are not a recommended healthy snack, but if you must have a candy bar as a treat everyone and a while then I suggest you look at one of these. Back when I started to eat more healthily this was my treat candy of choice. You see these come in at only 140 calories and they have zero trans fats and just a couple of grams of fat overall. And they are tiny so you get to crave your sweet tooth without binging on something that is just full of calories! With a name like Chunky you probably think that this is just full of sugar and fat. 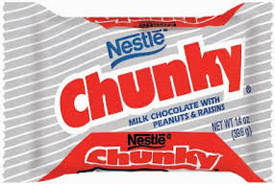 With only 173 calories per bar, a Chunky Bar has far less calories than many of the other candy bars on store shelves. The fat count is kind of high at 10 grams, but the 3 grams of protein that these are packing means that if you chow down on one of these after lunch you will feel full until dinner time. Now granted if you hate figs. like I do! Then there is no force on earth that is going to make you eat one of these. But my partner swears by these. 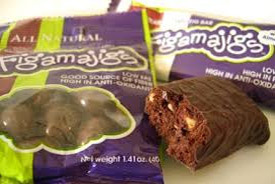 The combination of figs and dark chocolate mean that these candy bars come in at around the 130 calorie mark which is not too bad if you are desperate for some chocolate. And the fat count is also not that high either. I just wish I actually liked the taste of these. This is kind of a holy grail candy bar for me as nowhere around me sold them and it was not until I took a trip upstate I found one in a health food store of all places (it was one of the mint ones in case you were wondering). Anyway these have all organic ingredients like chocolate and nuts and as a result of them using all organic ingredients they can be quote pricy. 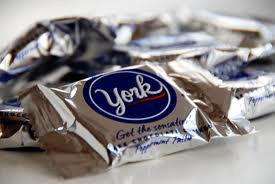 But as they come in at about 200 calories they are not a terrible candy bar for you if you need a choco fix! 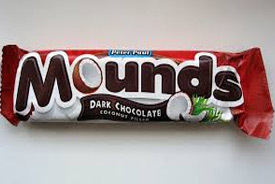 The official name for these is just Mounds, but that sounds weird to me so I call them Mounds Bars. Anytime you mix coconut and chocolate you have a winner in my book and the flavor of the coconut really shines through here. These do have around 195 calories per bar and the fat count of 11 grams may seem high, which actually I guess it is. But each bar does have a couple of grams of protein in it so these are actually quite filling.